The alarm goes off, and just like that the hectic day has begun. The crazy hastiness of school mornings leaves little room for thinking and reflecting for most mommies. Morning hygiene must be tended to, children must be dressed, breakfast must be eaten, lunches must be packed… the list goes on. 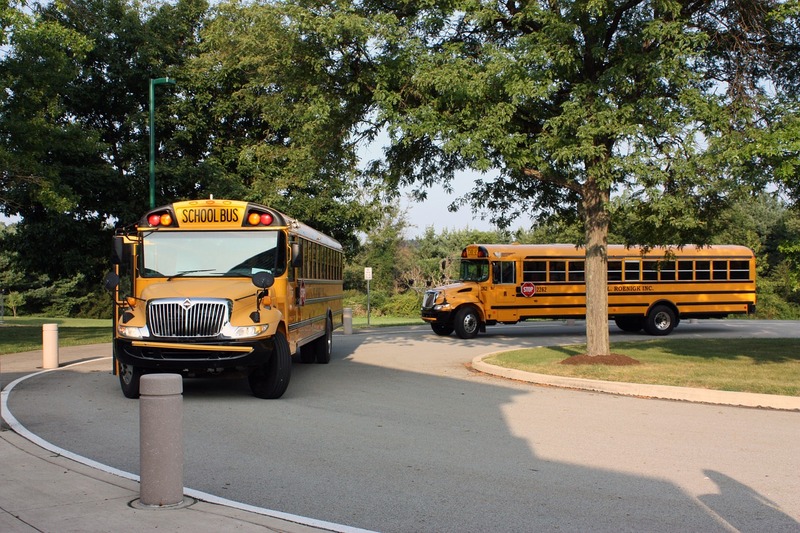 Before you know it, the school bus has arrived, or it’s time to hop in the (often super long) car drop-off line. After the kids are successfully off to start their day, I come home to repair our home from any damage the early morning bustle may have caused. Breakfast dishes are cleaned, counters are wiped down, and before I know it… I realize that I haven’t had a chance to eat myself! While exact routines may be unique, it’s common for parents to put their own health and wellness on the back burn to focus on their families. The thing is, our family’s wellness is dependent that we be well to effectively care for them! Did you know that almost 1 in every 3 American adults has high blood pressure or hypertension?! Uncontrolled high blood pressure can lead to many very serious illnesses like strokes, heart failure, heart attacks, or kidney failure. What can you do to keep yourself healthy, especially when time is not in abundance? Knowing your blood pressure is a key part in staying healthy. When you know your numbers you and identify trends and changes, to get an early handle on any possible issues they may cause. The Minute Clinic at CVS can assist with blood pressure evaluation, and help you to understand exactly what your results mean and any next steps you should take. I find the hardest part of scheduling a check-up is finding a time that will work in advance. No matter how good a time seems now, it’s inevitable that something else will come up that causes me to cancel my own appointment. You can get around this by utilizing the services at the CVS minute clinic. 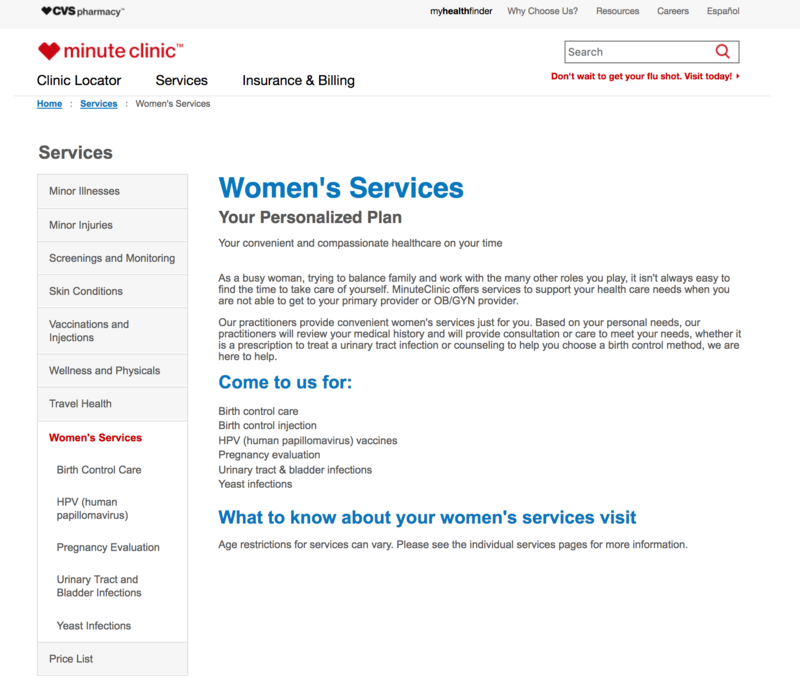 In addition to basic health services, the Minute Clinic provides many woman services to assist with many personal needs or conditions. Things like prescriptions for urinary tract infection, counseling for birth control, and even medical history review and consultation are available to help make your life easier and you more informed on your health. Plenty of times minor pesky irritations arise that you may not feel like warrant a visit to a primary physician or specialist. That doesn’t mean that you must live with them. Things like acne, skin irritations, athletes foot, and more can be looked at by a Nurse Practitioner at the Minute Clinic. You’re busy, Mom, I get it. At the end of the day, however, it’s so important to remember to take care of YOU too! Be sure to check out the health isle at your local CVS next time you’re there to discover some of the many products that will help keep you and your family in tip top health. What’s the biggest obstacle that gets in the way of YOUR routine check-ups? Drop a comment below.